Just months after the end of WWII, three United States airmen took off from Singapore, bound for a small aerodrome in Penang, in their military transport plane. They vanished for no apparent reason and, until recently, without a trace. It was November 27, 1945. The weather was favourable for flying, with good visibility and only a little light rain forecast for the day. The long flight was meant to be routine transport trip. The C-47 aircraft, however, disappeared en route. The three men on board, Judson Baskett, a Flight Officer, William Myers, a First Lieutenant, and Donald Jones, a First Class Private, were never seen alive again. A wide-ranging search mission was organized, but the fate of the plane and its crew was never discovered. After a while, the three men were declared dead. 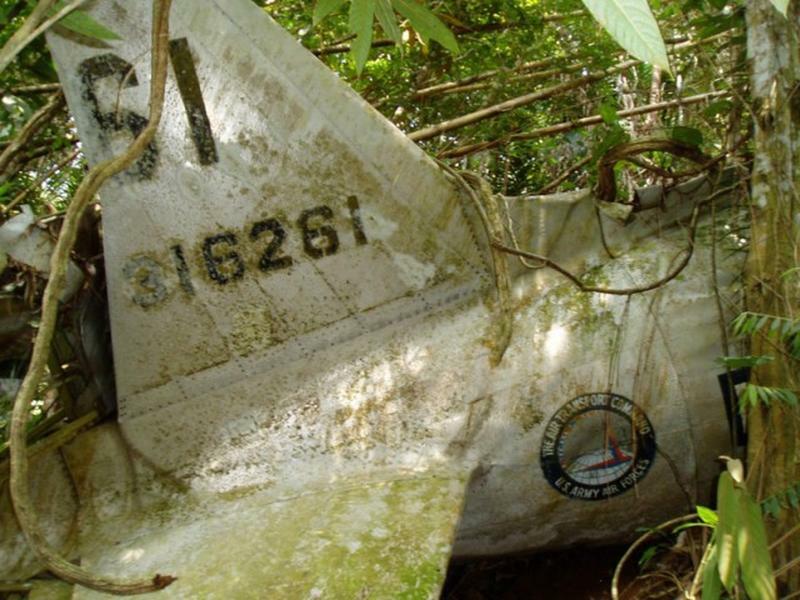 The charity PacificWrecks.com, which investigates shipwrecks in and near the Pacific Ocean since the Second World War and the Korean War, noted that in 1966 someone had reported seeing the wreckage of a plane on a jungle-covered mountainside in the Malay Peninsula. The report was never investigated. Then in 1985 two people clambering through the jungle stumbled upon a wreckage. The location was recorded, but that's about it. Only in 2009 did officials start taking action after local residents took photos of the wrecked aircraft. The officials then contacted the USA embassy in the capital, Kuala Lumpur. The Malaysian and US authorities began plans to examine the site and recover what they could of the wreckage. However, it took until 2015 before any concrete action could be taken. In August of 2015 the recovery of the airmen’s remains finally commenced. The remains were respectfully carried from the wreckage and taken to the Kuala Lumpur and, in a quiet ceremony, they were handed over by a contingent of Malaysian soldiers to four US servicemen. Although it is assumed that the remains are indeed the missing men, this won’t be established beyond doubt until forensic scientists in the US perform identification tests. At last, after 70 years of mystery some sort of finality will soon be reached for the memories of those three men.